Throughout the year America holds many celebrations for a variety of holidays that have significant meaning for many people. The following are the most popular American holidays which really do make America what it is today. New Year’s Day is a celebration of the New Year. People usually celebrate with parties, fireworks, and family gatherings to bring in the New Year. Martin Luther King Day is a holiday which celebrates civil rights leader Martin Luther King. Valentine’s Day is a celebration of St Valentines. People celebrate this holiday by giving loving gifts to those they love. Presidents day is to honor the previous presidents of the USA. Many stores generally feature many great sales throughout the day. St Patrick’s Day is generally celebrated by those who have an Irish background. People tend to dress up in green on this day. Although not really a holiday, April fools day is a day where people play harmless tricks and pranks on those around them in innocent fun. Good Friday is a day that commemorates the crucifix and death of the Lord Jesus Christ. It always falls on a Friday. Easter celebrates the resurrection of Jesus Christ. 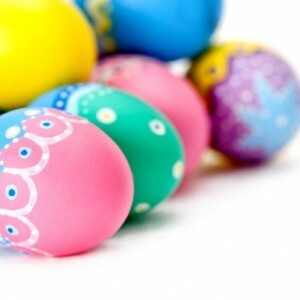 Today it is celebrated with Easter eggs, Easter egg hunts and more. It is celebrated the Sunday after Good Friday. Mother’s Day is a celebration to acknowledge mothers. It generally entails gifts and cards given to mothers to say ‘I love you’ and ‘thank you’ for everything they have done for their children. Memorial Day commemorates those who served, fought and died for America in the Wars. The Indi 500 race is usually held on this day. Father’s Day is a celebration and acknowledgement of fathers. Children generally send cards and gifts to fathers on this day to say ‘thank you’ and ‘I love you’. Independence Day celebrates the independence of America from Britain in 1779. 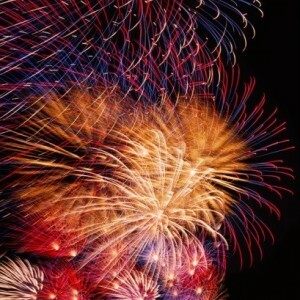 It is a very important day and is celebrated by fireworks, parades, picnics, and more. Labor Day commemorates the working traditions of Americans. Many people travel this weekend because it is a long weekend. Veteran Day is a day that honors the veterans who served in the wars. Thanksgiving is a holiday which gives thanks to those around you. It is based from pilgrims giving thanks to Native Americas when they helped them survive the harsh winters by showing them how to catch and grow their food. People normally celebrate this holiday with making large feasts and reunite with families. Christmas is celebrates the birth of Jesus Christ. It is the biggest festival for Christians throughout the whole year. Christmas is highly commercialized and is now celebrated by giving gifts, cooking large meals, spending time with family, and putting up Christmas lights. How Did July 4th Become America’s Independence Day?